Research shows that Chinese medicine can be very effective in supporting the treatment of cancer by orthodox Western methods, and is particularly effective in alleviating many of the side effects of treatment. Henry McGrath draws on his many years as a practitioner of Traditional Chinese Medicine to explain how Chinese medicine approaches cancer in terms of understanding and treatment. 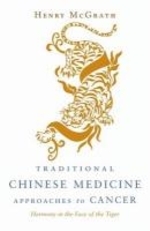 He presents the wide range of approaches that Chinese medicine has to offer people with cancer, and offers practical strategies to promote the health of the body as well as methods with which to cultivate the mind, helping the patient develop both physical and mental wellbeing. He covers a wide range of treatments, from acupuncture to Qigong, giving readers a sound basis on which to explore further specific treatment. Traditional Chinese Medicine Approaches to Cancer will be an invaluable book for people with cancer and the medical professionals who work with them.